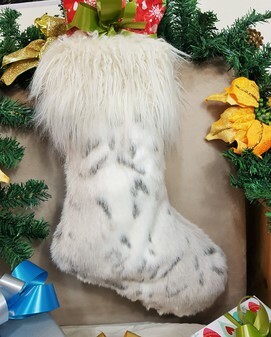 Our festive Faux Fur stockings are a great way to add a touch of glamour this Christmas. 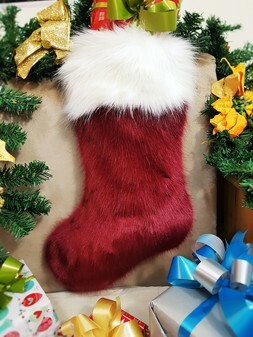 Ideal as a gift filled with presents or as decoration, the stocking comes with a loop to hang anywhere in the home. 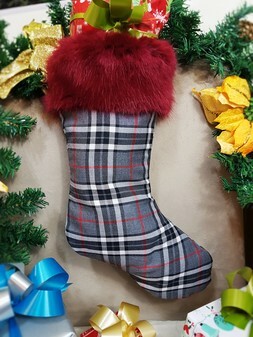 The use of our fabulous faux fur creates a modern aspect to traditional stockings; the two tone design to adds a twist to a classic Christmas token. 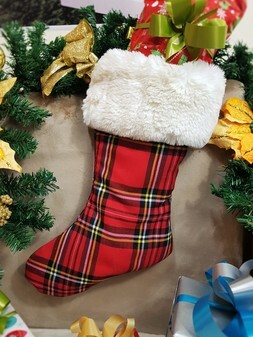 Our modern stockings are great to use at any time of the year, a great alternative to wrapping gifts. 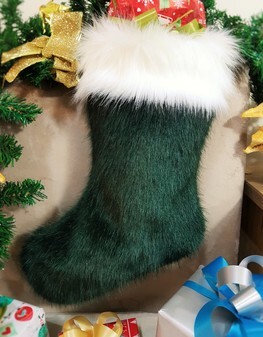 They are available in one size and measure an average of 42cm long x 19cm wide (16.5 inches x 7.5 inches).